Welcome to the Home of Popup Stands. We provide a professional design and print service developed from over thirty-five years of knowledge and experience in the exhibition industry. We pride ourselves on unbeatable after sales care, premium quality products and offer free artwork support for straightforward pop up designs. Why not speak to a member of our friendly sales team today to discuss your individual requirements further. 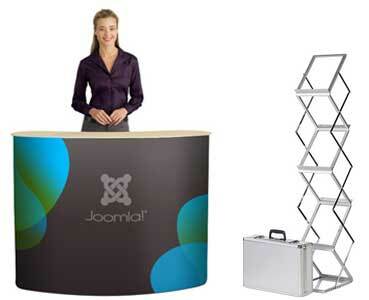 Why Choose A Pop up Stand? 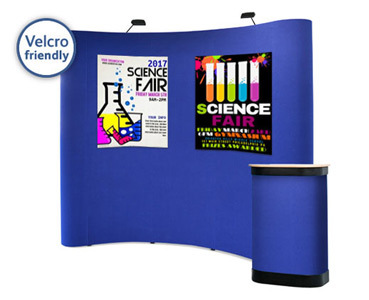 Effortlessly erected in seconds, our lightweight yet tough popup displays integrate easy fix magnetic bars and either graphic or Velcro panels. 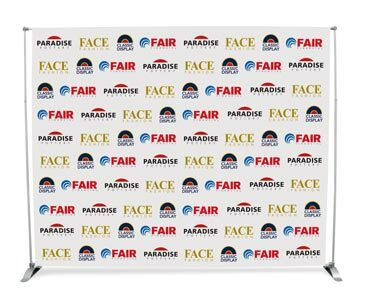 This system is a real breeze to handle, providing you with a stunning exhibition backdrop which will be up and running within minutes. You can easily interchange the graphic panels allowing you to rebrand your entire display stands without the cost of buying new hardware. 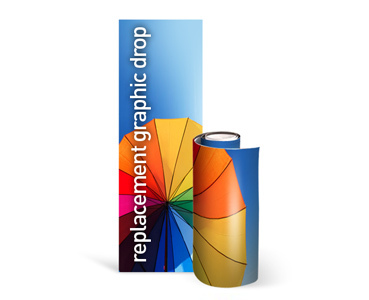 We offer digital replacement panels and reprints for all obtainable systems, including; Ultima Displays, Abex, Expand, Nimlok, Nomadic, etc - our high quality reprint service includes a hard-wearing scratch resistant laminate coating. 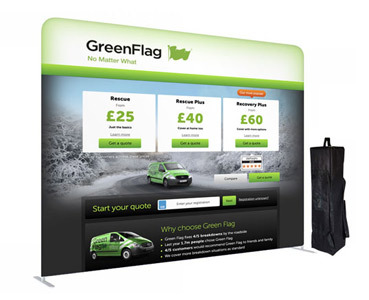 With a fantastic variety of popup stands, we offer a cost-effective solution which is easily transported to and from trade show events by car, rail or even by plane. The displays are compact and come with a sleek metal aluminium framework and slim line magnetic bars, which are neatly stored, along with the full colour exhibition panels or fabric drops, inside a tough wheeled case. 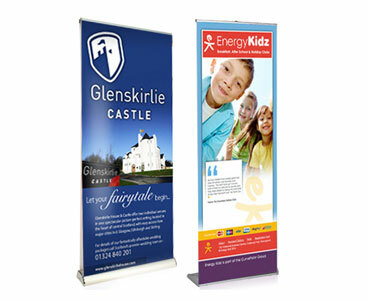 We know that not every exhibition space is the same size, that is why we offer a huge array of frame sizes. Working seamlessly together, the popup stands fit perfectly in popular trade show spaces, such as 3m x 2m, and be adaptable enough to give practical layout options for the most unusual and demanding stand spaces. 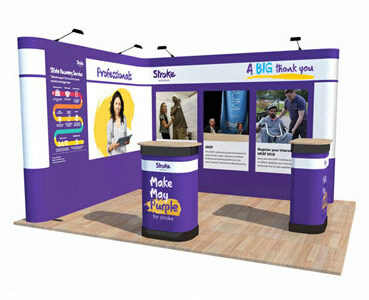 Unite straight and curved popup frames with flawless bridging panels, providing you with endless layout formations. There is the option to integrate LED lighting and TV monitors, incorporating promotional videos into your stand, making this an inter-changeable display system that you can use again and again, no matter how big or how small your trade show space. 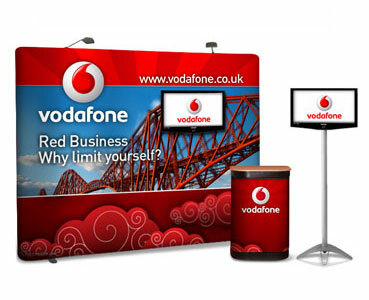 Want to get the greatest available display area from your exhibition space? Then a 90 degree, L-shaped popup display can help you do that. 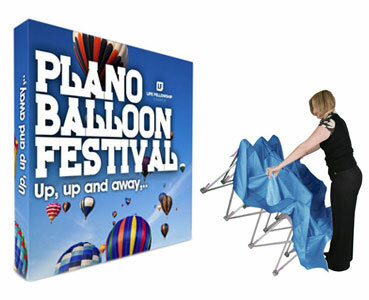 Need an indoor and outdoor portable display? 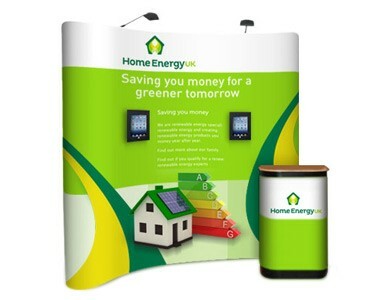 Try the ground-breaking Hop-Up fabric display stand with its large format printed graphic panel. 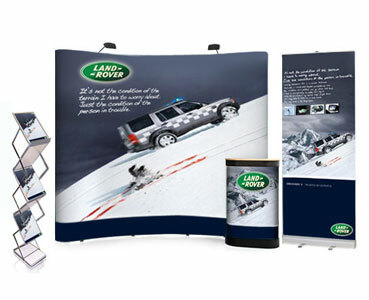 In addition to these we also stock fabric popup stands, fabric display stands with Velcro friendly panels, pull-up banners, sign holders, leaflet dispensers and brochure holders. Are you having trouble putting together a display package? Do you feel overwhelmed by all the options? Check out our Bundles page or call us and we can put together a custom package just for you! 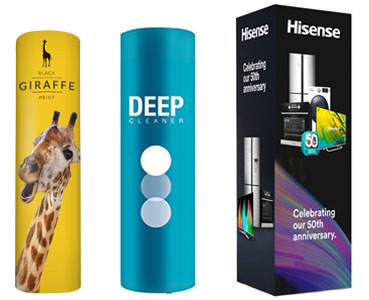 Our huge range of systems give you an inspiring and eye-catching presentation that'll help you stand out from the crowd and display your branding and marketing message to great effect. We want to give you that all important reassurance, so that is why we offer a lifetime guarantee on nearly all of our exhibition popup stands. This exceptional warranty covers the aluminium framework and magnetic bars against manufacturer's defects. What do Popup Stands UK Offer? 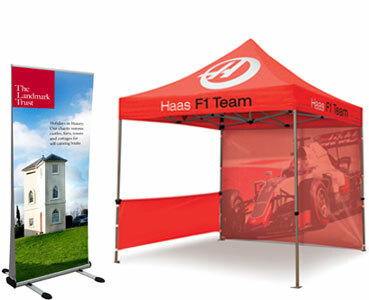 Contact us on 0116 2047757 or email us at sales@popup-stands-uk.co.uk for further advice and information. 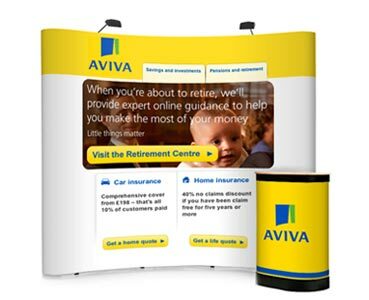 3x3 Curved Fabric & Graphic Pop-up Stand - The Best of Both Worlds!